This powder room renovation project in Doylestown, PA now features a glamorous vanity, medicine cabinet, and bronze sink. 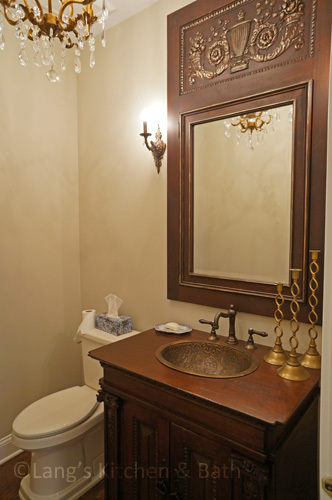 This bathroom renovation in Doylestown, PA transformed the space into a powder room full of glamorous features. 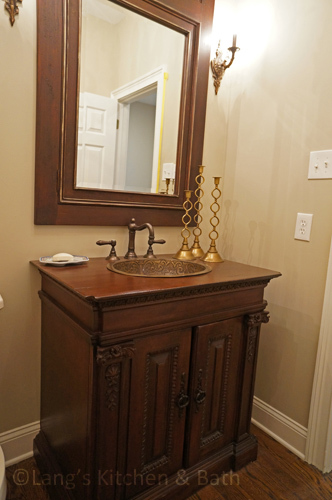 The furniture-style Habersham vanity and medicine cabinet are complimented by a unique bronze sink and oil-rubbed bronze hardware. The chandelier and sconces add a bit of sparkle to finish off this stunning room.